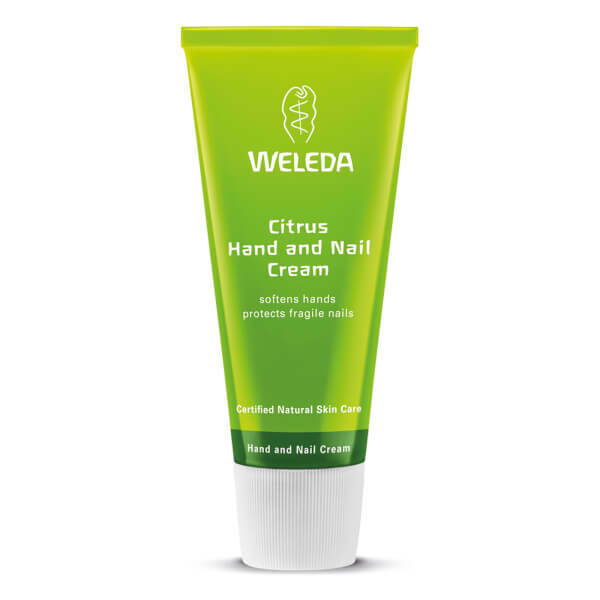 The Citrus Hand & Nail Cream is an intensive, plant-based treatment from holistic skincare brand Weleda. Fortified with organic Lemon Oil, the rich and creamy formula melts into skin to deliver essential emollients and nutrients, with Carnuba Wax and Lanolin helping to optimise moisture levels and promote a soft, smooth texture. 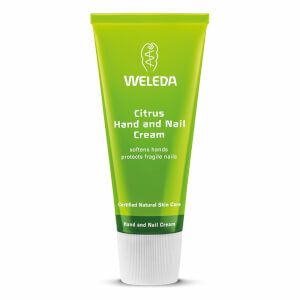 Skin, nails and cuticles are left feeling protected and strengthened, with an invigoratingly fresh citrus scent. Use a small amount and rub well in to hands after washing, paying particular attention to nails and cuticles. Water (Aqua), Prunus Amygdalus Dulcis (Sweet Almond) Oil, Lanolin, Glycerin, Hydrolyzed Beeswax, Viola Tricolor Extract, Copernicia Cerifera (Carnauba) Wax, Rosmarinus Officinalis (Rosemary) Leaf Extract, Chamomilla Recutita (Matricaria) Flower Extract, Calendula Officinalis Flower Extract, Citrus Medica Limonum (Lemon) Peel Oil, Fragrance (Parfum)*, Limonene", Linalool*, Geraniol*, Citral*. * from natural essential oils.